It’s almost a year after the bombing of al-Sha’aryat Airbase in Syria by the United States. Almost a year since the alleged “chemical weapons attack” on Douma, Syria which was blamed on the Syrian government and justified the subsequent American bombing. Now, after the resultant deaths of innocent people via America’s Tomahawk missile attack and the ridicule and blacklisting of alt media outlets who questioned and disproved the claims of the U.S. government regarding Douma, a BBC producer has admitted that the attack was staged. Riam Dalati is a well-known BBC Syria producer who has been reporting from the region for a long time. Now, he has stated that, after a six-month investigation, he has concluded that the scene in the Douma Hospital was staged. Dalati made his statements on his Twitter account which has over 20,000 followers including many mainstream journalists. The “flats” are a reference to the footage from a bombed out apartment which also showed dozens of dead civilians, a second scene manipulated and exploited by the terrorists and their supporters. The footage showed allegedly “gassed” corpses of both women and young children lying about the apartment building. The images were used by mainstream media to maximum effect, being recycled endlessly in order to drum up support for the Trump administration’s missile strike on Syria. I can tell you that Jaysh al-Islam ruled Douma with an iron fist. They coopted activists, doctors and humanitarians with fear and intimidation. In fac, one of the 3 or 4 people filming the scene was Dr. Abu Bakr Hanan, a “brute and shifty” doctor affiliated with Jaysh al-Islam. The narrative was that “there weren’t enough drs” but here is one filming and not taking part of the rescue efforts. Will keep the rest for later. Just a few hours after making his statements, Dalati switched his Twitter account (verified to be his) to “private.” This is most likely due to either internal pressure or the fact that the Russian embassy quickly seized on the statements and began promoting them in Russian media outlets. Russia is now demanding that the BBC make public the results of its investigation. Dalati was referring to the image of two children wrapped in a “last hug” that went viral on social media, eliciting sympathy for the “chemical attack” narrative. Whatever the case, the facts remain that the Douma incident was nothing more than an exercise in expert-level propaganda on behalf of the terrorists, Western governments, and the media mouthpieces that speak in unison against Syria and Western civilization. 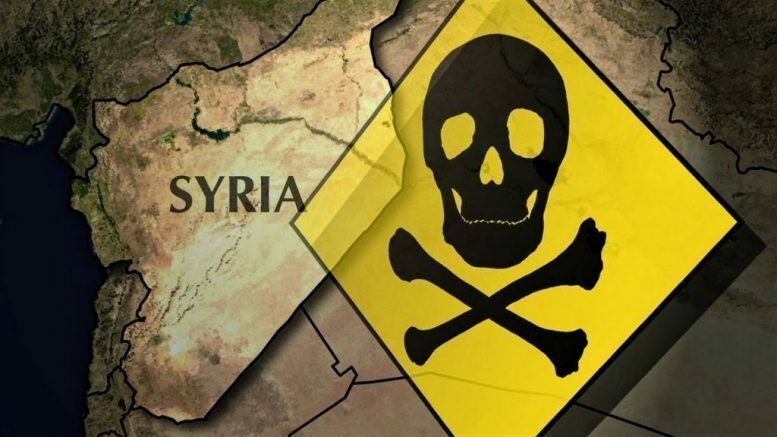 I highly recommend reading my articles on the Douma chemical attack as well as the work of Vanessa Beeley of 21st Century Wire and The Wall Will Fall, and Pearson Sharp of OAN in order to understand how the attack has been so thoroughly debunked even before the missiles and bombs began to fall on Syria in “response” to the “alleged” incident. Next What is Crisis Management Solutions?